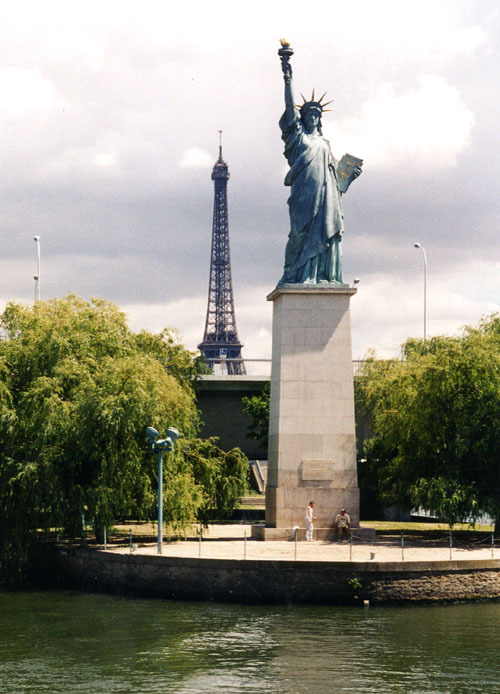 The Statue of Liberty in Paris ? – Three models stand in Paris. – The most famous is near the Grenelle Bridge on the Île des Cygnes, an island in the river Seine. – Facing west, towards the Atlantic Ocean and its sister in New York Harbor, which had been erected three years earlier.